Microsoft will upgrade its disc technology for its next Xbox from DVDs to Blu-Ray discs, catching up to rival Sony, games industry sources tell Kotaku. Sony's PlayStation 3 currently supports Blu-Ray, which can contain 25 or 50GB of data compared to DVD's 9GB. But that disc detail could be far less impactful to the next generation of game consoles than the assertion I've heard from one reliable industry source that Microsoft intends to incorporate some sort of anti-used game system as part of their so-called Xbox 720. It's not clear if that means that the system wouldn't play used games or how such a set-up would work. Obvious approaches—I'm theorizing here—like linking a copy of a game to a specific Xbox Live account could seemingly be foiled by used-game owners who would keep their system offline. My source wasn't sure how Microsoft intended to implement any anti-used game system in the new machine. A push in any way by Microsoft against used games would likely be cheered from publishers sick of seeing retailers like GameStop crow about their revenues from the sale of used games. But it could potentially anger consumers who rely on buying cheaply-sold used games or even pass games to relatives or friends. One source familiar with Microsoft's plans for the new Xbox said Microsoft plans to ship their new Xbox with a new version of its red-hot Kinect hands-free sensor system. The new Kinect would contain an on-board processor, a feature originally intended for the first Kinect. That processor would enable a new Kinect to more effectively detect users' motions. I'm also hearing that Microsoft is interested in making a smaller controller for its new console. And what of gaming site IGN's report that the machine could be six times more powerful than the Xbox 360? 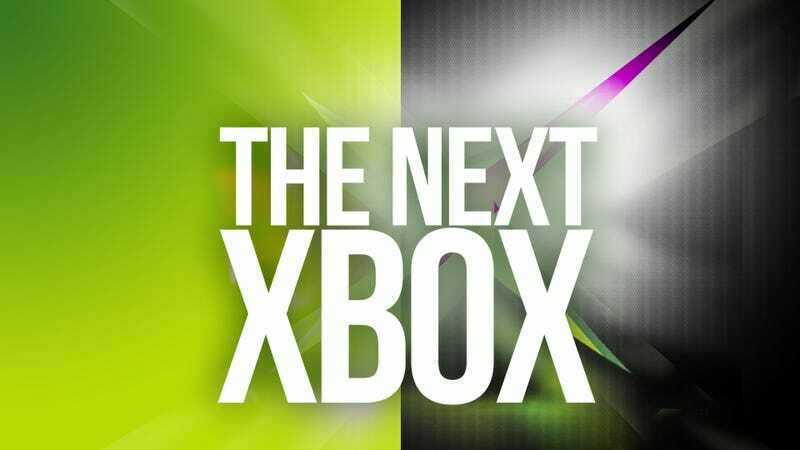 From some industry sources I'm hearing that that's the right ballpark and that Microsoft is estimating they might even get to 8x the Xbox 360. But another insider clarified that no one in the industry has development kits yet and that any talk about specs right now is still hypothetical. "Xbox 720" is being used as shorthand by reporters like me to refer to the next Xbox. It's not necessarily the name of the next device. Tech sites Semi Accurate and Fudzilla have reported that the first chips for 720 development kits are going into production, leading to a possible late 2013 release despite my earlier reporting which had pointed to 2014 as the year of the next Xbox and PlayStation. Nintendo's next console, the Wii U, will go on sale later this year.